If you are interested in having the BIOTRANSFORMATION AND OXIDATIVE STRESS STATUS TEST done please make an appointment with Dr Cornelia Botha by visiting our contact page. Why have detoxification / antioxidant status testing done? Compromised antioxidant status and detoxification is implicated in most modern illnesses. Obesity, Diabetes, Cancer, various diseases that affect the immune system, ADD/ADHD, various types of allergies, drug hypersensitivity reactions, Multiple Chemical Sensitivity Syndrome, degenerative diseases (including motor neuron disease, Alzheimer’s disease, Parkinson’s disease etc), autoimmune diseases (e.g. multiple sclerosis, hypothyroidism, rheumatoid arthritis), skin rashes (including eczema), infertility for men & women, as well as menstrual problems for women, headaches and other “vague” symptoms such as fatigue, dizziness and problems with concentration. This test assesses the liver’s biotransformation function. During this test the liver is challenged by common substances such as caffeine, aspirin and paracetamol in safe doses and samples of blood, urine and saliva are collected. This test is unique because Phase I and II biotransformation pathways as well as the oxidative stress status and antioxidant capacity are assessed. Phase I activity is tested by means of the caffeine clearance test, and in Phase II the production of four conjugates are determined. The ratio between the activities of the two phases is also calculated to detect imbalances. 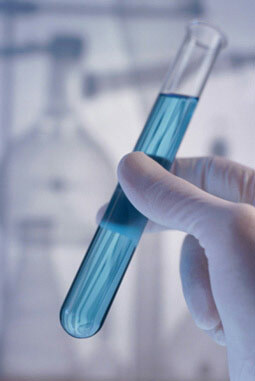 Blood samples are used to determine the oxidative stress status and antioxidant capacity. This data can then be correlated with the results of the biotransformation capacity test. Dr Cornelia Botha and Dr Tanith Davidson prescribe individualized detoxification programs for their patients as treatment for specific diseases when indicated. Prescription is often guided by the detailed test results of the patient’s toxic load and / or liver detoxification capability (sometimes including genetic tests). Individualised herbs and supplements will be chosen to work most effectively for that patient’s case. They also give their patients specific dietary guidelines to follow during their detoxification program.